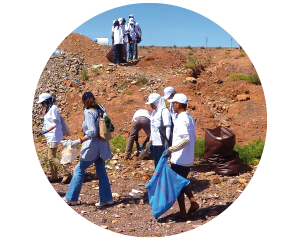 To help preserve the Moroccan Sahara and help provide a better environment for the people living there. 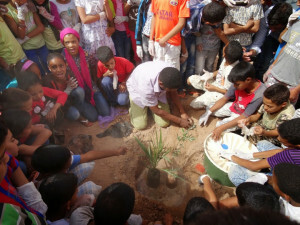 “Help us continue our work by letting us plant a tree in the Sahara for you“! 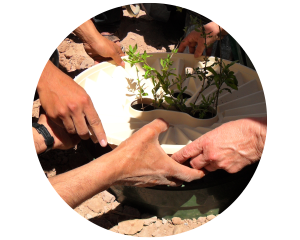 – helping to keep our planet green! 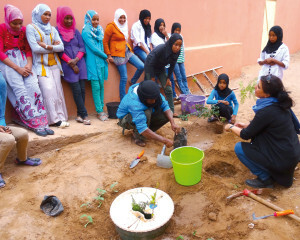 – helping to stop desertification! 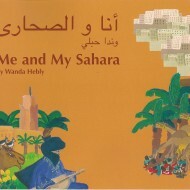 Buy our booklet ” Me and my Sahara” for 10 EURO!! 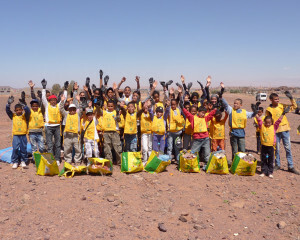 These booklets are used by the Sahara-Roots Foundation as a tool to help educate young children in the Sahara area of Southern Morocco. 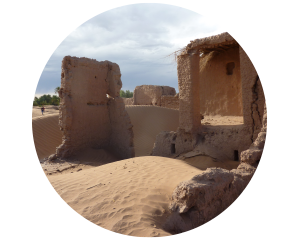 The proceeds from the sale of the booklet will help to provide funds for the different educational projects of the Sahara-Roots Foundation. 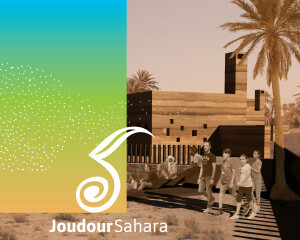 Available in the following languages: Dutch/Arabic, English/Arabic & French /Arabic. We love to give presentations about our work. 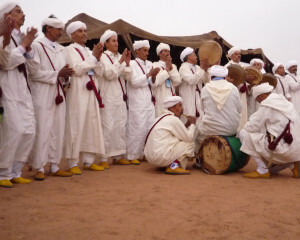 Whether it be in the local schools or during festivals in Morocco or spreading the word in The Netherlands during meetings with different clubs such as the Rotary. 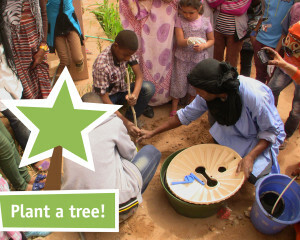 This creates the possibility of fundraising by then receiving donations, selling “trees” or by selling our booklet “Me and my Sahara”. 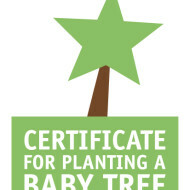 Please feel free to contact us for more information on our presentations!